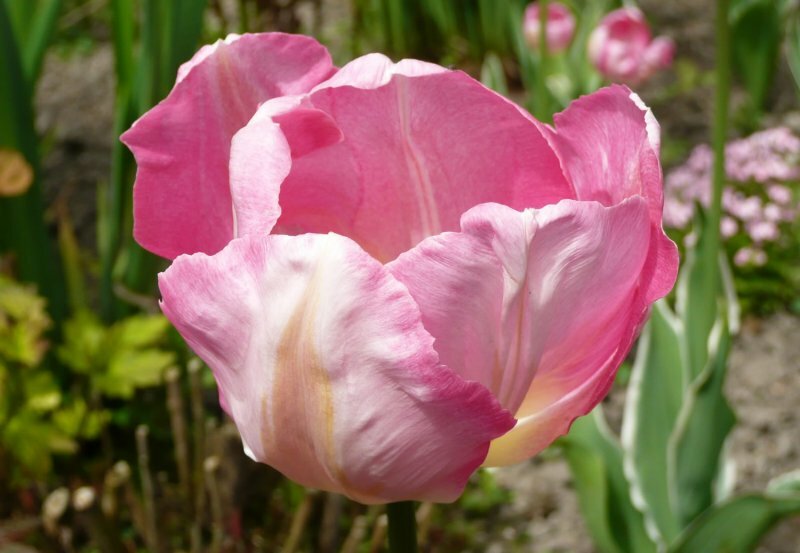 Tulips are grown for their characteristic flowers. 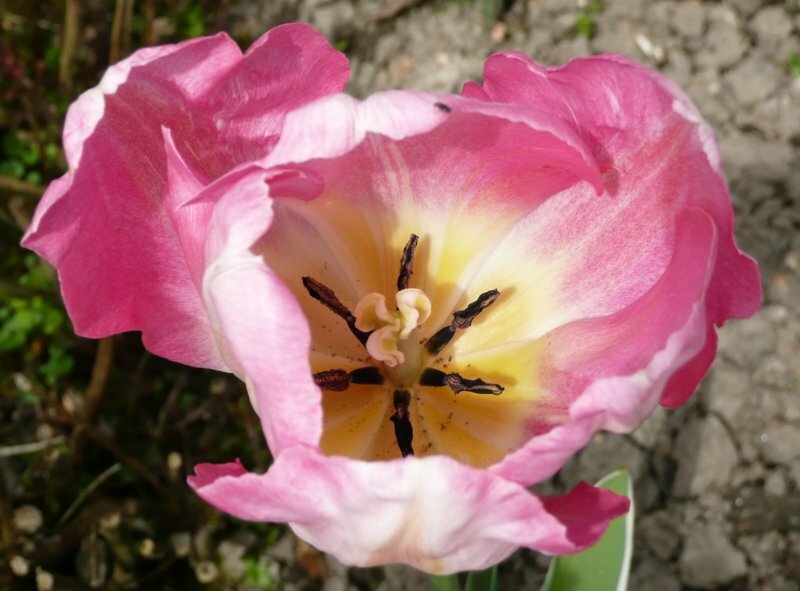 This is a ‘triumph’ tulip whose flowers are initially yellow, fading to pink but retaining a buttercup yellow base and centre which fades into apricot then pink. When the green leaves first show their edges are pink, fading to pinkish-white as they age. 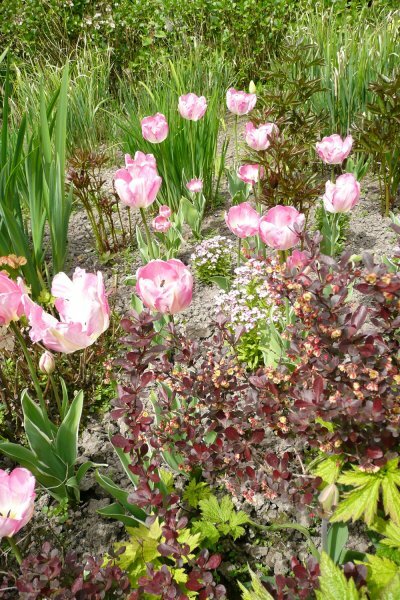 Tulips can be propagated by division in early summer or autumn, or seeds in autumn. However, cultivars such as ‘New Design’ may not come true from seed or grow from seed at all, so it’s best divided. This cultivar was introduced in 1974 and is a sport of ‘Dutch Princess’.